So when as a favour to the groom, I (perhaps foolishly) agreed to seize the special day in snaps, I was as jumpy as a virgin bride on her wedding night. What if my equipment failed? What if I failed to capture a crucial moment?? And worse still, what if everyone thought as a wedding photographer I made a great loo lens-person??? And a drama queen masquerading as an uptight photographic pretender with a penchant for histrionics on a jittery journey into a nightmarish wedding photography hell – or worse: oblivion – didn’t trouble the happy couple one bit. Because the path that brought her from Colombia and him from Adelaide via the Anakie Sapphire fields and Brisbane together in the first place, let alone to a wedding at the Winehouse Langhorne Creek in this obscure corner of South Australia’s Fleurieu Peninsula had been particularly long and arduous; and the financial and emotional costs great. Daily Skype calls with a 14 hour time difference. 1 x 4 week visit to Columbia by him 3 years ago to meet in person for the first time. 1 x 3 month visit to Australia by her 2 years ago to meet in person for the second time. Several months of administrative nightmare hell to finish the marriage visa application, including preparing 2 kilograms of meticulously checked and translated documents. 12 months waiting for the visa application to be processed. Planning a wedding by remote control. Finally, a three-day-halfway-round-the-world odyssey through several countries to Australia – a new home, a new family and a new life. So having a certified Aussie loo photographer to record the celebration could go either way. Strangely appropriate? OR completely irrelevant?? You decide! Actually, all egotism (reluctantly) aside, finding a suitable venue was FAR more relevant. After all, there aren’t too many places that met all the requirements. Well, yes. To celebrate THIS wedding, the venue had to be memorable. Charming, unpretentious and photogenic. Large enough for a wedding, yet small enough to be intimate for the group of 20-odd family and friends actually attending in Australia. Internet access and a screen so the overseas guests from Colombia, Spain and Aruba (all on different time zones) didn’t miss a thing on Skype. Catering. Music. A dance floor. Easily accessible. And all at an affordable price. Before the bride arrived, we took a trip with the groom less than an hour south of Adelaide to South Australia’s Fleurieu Peninsula (colloquially known to Adelaideans as ‘Down South’) to scope out some venues. SHE wanted to get married in the gazebo she’d seen in Strathalbyn when she came to Australia two years before so HE was looking for somewhere close by for the reception. 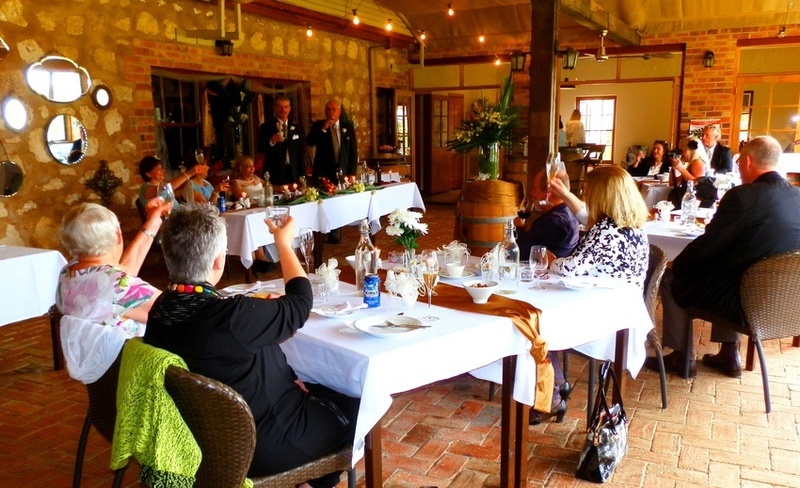 Just a few kilometres down the road from Strathalbyn, while passing through the Langhorne Creek wine region, we stopped at the Winehouse for morning tea. More than just a tasting room amidst the vines showcasing premium wines, boutique beers and gourmet produce from the Langhorne Creek area, the Winehouse also serves meals (their Australia Day version of Eton Mess was AWESOME) and coffee, hosts events and offers personalised function packages. And right there, while we sipped our coffees in the beautifully restored vintage barrel room with its rustic cobbles and country charm, the Winehouse magic worked on us like a political propaganda powerhouse. Could finding the perfect venue really be THIS easy? Love at first site AND first sight, the Winehouse Langhorne Creek easily met ALL the requirements, with the added bonus of warm, helpful and friendly staff. The other unexpected bonus was an alternative wedding ceremony venue when bad wedding day weather put the Strathalbyn gazebo off the agenda. And the competent and capable functions manager, Briony Potts who, with the rest of the Winehouse team, ensured the only hitch in this VERY special occasion was when the happy couple tied the knot. Strathalbyn Gazebo – where the ceremony WOULD have been held if the weather had held! The wonderful Winehouse décor aided and abetted my poor efforts at dull-day wedding photography despite the tragic absence of my signature scenic loos. Oh, how I missed a photographic subject that DIDN’T move about. Or that had a devastating scenic view behind it. Or that stayed put while I waited for the sun to come out. So later, in that solitary, self-indulgent, semi-sinister world of post processing, I embarked on a learning curve so steep it gave my Kosciuszko climb a run for its money as the highest place on earth I’d ever been. And turning my shots into photos that captured the essence of a wonderful wedding day set against the beautiful backdrop of the Winehouse – venue extraordinaire – started to look a bit more like what I’d imagined. Well … some of them, anyway. But over the wedding weekend and nearly a thousand photos later (not including the deleted ones), it’s strange which shot stands out the most. As any REAL wedding photographer will tell you, as a wedding photographer it’s clear where my true skills really lie! 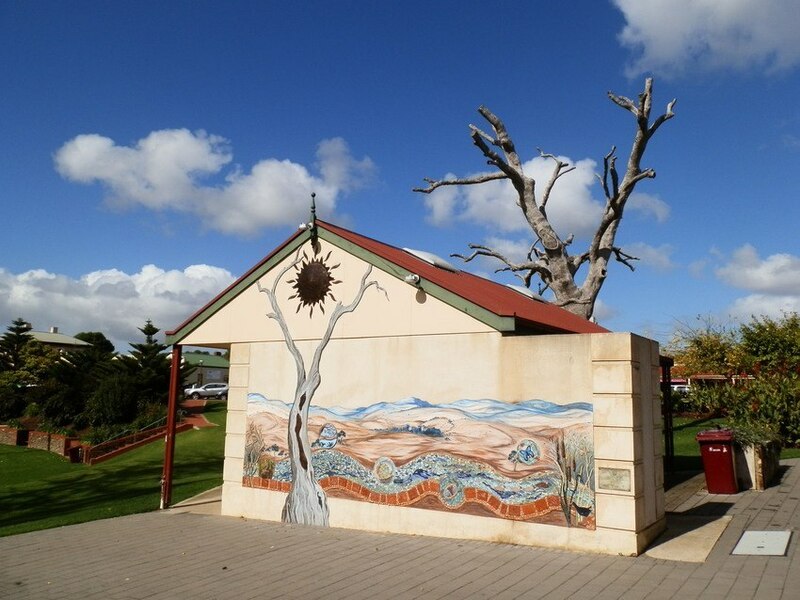 And I’ll leave YOU to decide whether my journey from septic system snapper to wedding photographer was a natural progression with this shot of the Strathalbyn scenic loo for comparison! Previous Post: Five Reasons why Wyndham is a TOP Aussie Town! NEXT Post: Why Port Clinton is a TOP Aussie Town! 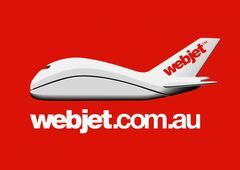 « FIVE Reasons why Wyndham is a TOP Aussie Town! HHHMMMmmm… I see a new career in my future with Loo Wedding Photography, Jo!! 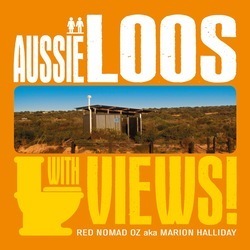 I’m sure it’ll take off like a rocket 😀 Who could resist the chance to have their wedding featured in ‘Aussie Loos: Number Twos’??!! The perfect wedding keepsake!!! I wouldn’t take the bet on my pix being the best – but I’m sure I’m the only one who ended up with a loo photo, or two!!! Haha, I’m certainly a natural at sneaking in a loo (or two) Iris!! But thank you anyway!! I think you did a fantastic job! I love the wedding rings photo. The venue was fabulous too, what an easy place to get married in. I’m gobsmacked at the 12 months wait time for visa approval. Easy to photograph too, River – and that was one of the reasons I did it. It’s a shame I didn’t get to work more landscape magic on a sunny day at the gazebo, but maybe there’ll be a 1st anniversary reunion!! The visa wait thing isn’t unusual, so I’ve been told – but I guess if you last the distance you must be REALLY serious!! Red you did an astounding job, amazing beautiful captures of the special day for this couple. I’ve only shot one wedding, an outdoor gazebo wedding and I too had the same types of thoughts running through my head. Two cameras on hand, borrowed one from a friend just encase, and talk about nerve wracking. Would I shoot another wedding? Maybe, depends on who it’s for. I’ve also shot a 40th wedding anniversary, now I’m hired to do a 25th anniversary in August and I ask myself why do I put such pressure on myself? Again wonderful job, beautiful shots and you are to be commended for stepping out of your comfort zone! Thank you Darlene! I think if I got REALLY good at it I’d have to start charging for my services!! As it is, on the basis that I’m a loud & proud amateur, I get to take the more casual shots I like, and the happy couple don’t have really high expectations – win win, huh?! I admire your nerve – it IS so much pressure!! The most popular ‘shot’ was actually a 3 or 4 minute film clip of the waltz – it didn’t occur to me to shoot film clips, so if there IS a next time, I’ll do more of that! Well I think a Loo Photographer did a very good job as a Wedding Photographer! Beautiful photos and a stunning wedding location. I loved that part of South Australia. I was also impressed that you snuck in a scenic Loo!! Us loo photographers aren’t that common, so I HAD to slip one in! Also to reassure myself that the loo-snapping-gene was still there 😀 The Fleurieu Peninsula is an awesome destination, Kathy – glad you liked it too!! They could have searched high and low and wouldn’t have found another photographer who could capture those special moments and then relate the story of the event so well. I think your photos are great and I’m sure the happy couple are very pleased with them – and you found a loo, too. But please, please don’t stop the landscape photography. You are second to none at that. Thank you Pauline – you’re WAY too kind! But upon re-reading the event story, I find I HAVE turned it into a story all about me 😀 Don’t panic – I’ve well & truly returned to my day job, and the landscape pix will keep coming … and coming … and coming! What a responsibility but it seems like you acquitted yourself well. I’ll mark this in my mind as the first time I have heard of a wedding being skyped.